Filmmaker, Joseph Lovett has glaucoma. And, like many others who share the disease, though his eyesight suffers, his vision is still intact. Like many others who have glaucoma, the second leading cause of blindness, Lovett could have retreated into a quiet solitude and reflected on his past. It would have been easy for him to do so – the numerous documentaries focusing on social, cultural and health related issues, the high praise placed upon him in the form of a Peabody Award and a Primetime Emmy Nomination, the gratitude of companies whom he has provided quality work for and the adoring fans who have enjoyed his primetime specials. Joseph Lovett and his company, Lovett Productions, have already made their mark in the world of documentaries. Lovett could have decided to slow down and focus on self-reflection. 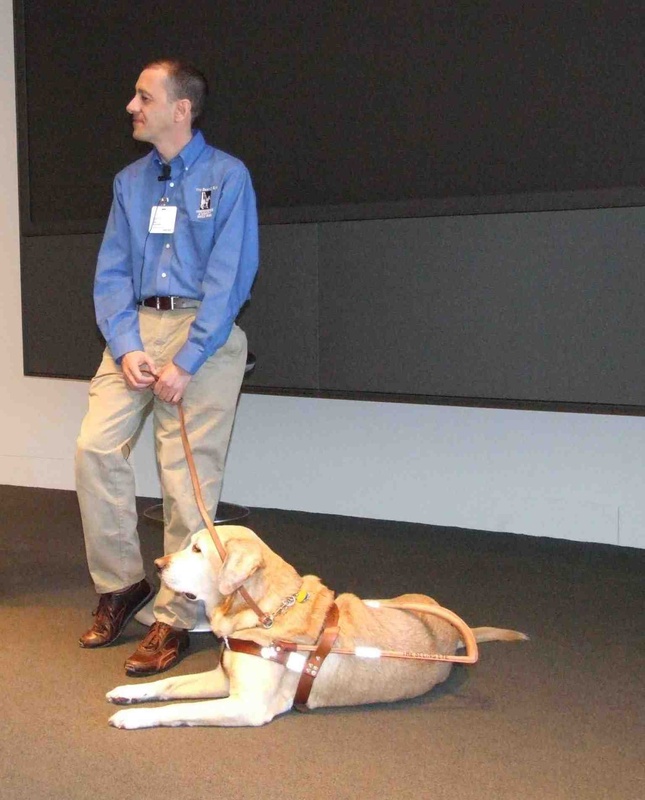 Instead, he chose to spend the last five years working on this – an 80 minute documentary titled Going Blind. During the course of the project, Lovett talked with several people who had already gone through the process of losing their sight. 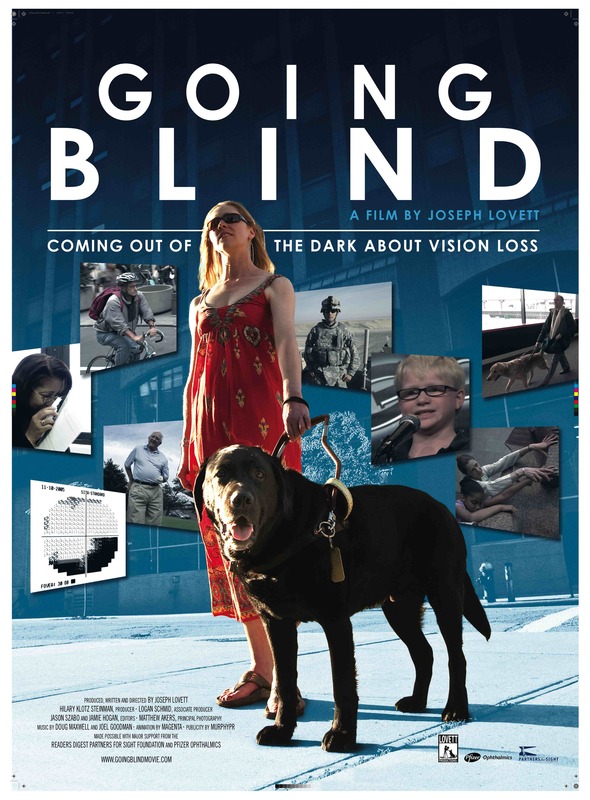 While the persons featured in Going Blind have lost part or all of their sight, they too have not lost their vision. Through courage, independence and personal strength, they have come to view life itself through a lens that others may never see through. The causes vary as well from diabetic retinopathy, to macular degeneration, to shrapnel injuries caused by a roadside bomb north of Baghdad. While each person and each cause is unique, all of the characters are inspirational. So what is the purpose of this documentary? What could it possibly provide to those with 20/20 vision? The answer is quite simple – Lovett produced this documentary in order to provide information about prevention, detection, treatment and coping mechanisms. Quite simply, the mission of Going Blind is to provide education and assist in breaking down misperceptions. For instance, did you know that 80% of blindness is avoidable? Thus much blindness is treatable and preventable! Did you also know that according to The Blinded Veterans Association, more than 4 times as many veterans are coming home with significant eye injuries than with lost limbs? If you didn’t know these things, you aren’t alone – I didn’t know them either until I was introduced to Joseph Lovett’s latest project. It takes quite a bit of vision on the part of Joseph Lovett and all involved the documentary to tell their story in hopes of educating and inspiring. It also took great vision by the major contributors who have made the documentary possible, including The Reader’s Digest Partners for Sight Foundation, Pfizer Ophthalmics, The Allergan Foundation, The National Eye Institute and other generous donors to the project. So where can we watch Going Blind? Will it be shown on ABC, NBC, HBO, PBS, Bravo, Discovery Health, or any of the other networks that Lovett Productions documentaries have been shown? This is where your vision comes in. 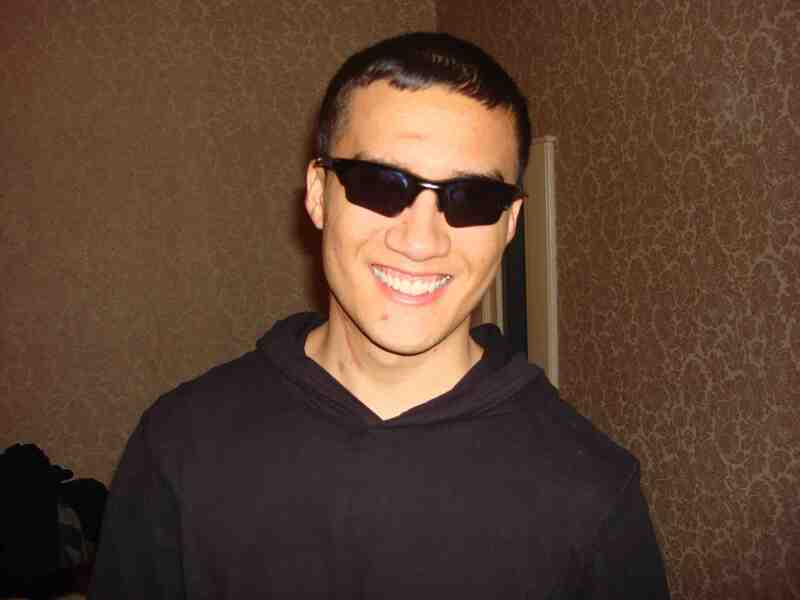 Joseph Lovett is planning to have Going Blind shown all across the world on or near the time of October 14, 2010 – the date designated as World Sight Day by the World Health Organization. Where it may be shown could all be based upon your vision and your willingness to act. Perhaps your Lions Club Chapter will take an active role in showing the documentary, hold a panel discussion afterwards and assist with some eye screenings. Or, perhaps it will be your church or civic organization that decides that they want to take part in the opportunity to provide education on sight loss. Atlanta native Jessica Jones. Image Courtesy of Lovett Productions. In this case, we have much. The documentary has already been produced. The stories have already been told. The Going Blind Outreach Toolkit has already been prepared. The date has already been set. Are you interested in helping your community learn more about blindness and helping someone in your community whom perhaps you have never met? I am currently working with community leaders in my area to try to make a viewing of Going Blind a reality in the Metro-Atlanta area. Is this something that appeals to you, as well, for your community? If it’s been a while since you’ve tested your own vision, this may be a golden opportunity to do so. You may also follow Going Blind on Facebook and Twitter. 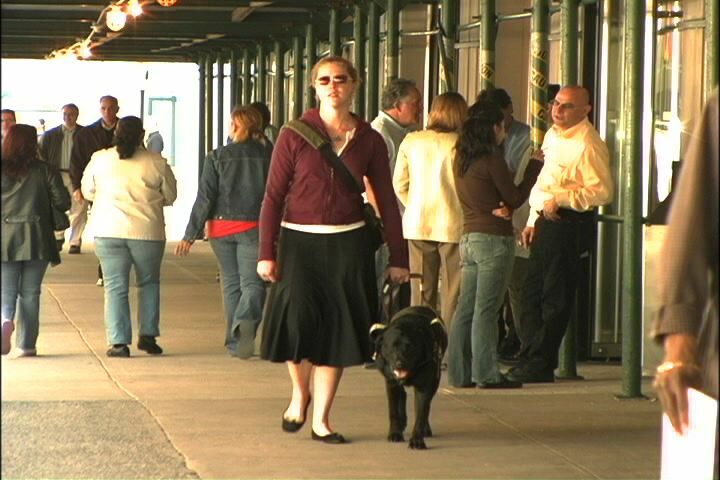 Going Blind will have a one week NY theatrical run starting October 8 and running through World Sight Day Ocotober 14. Next Post Lemonade is the Refreshment of Champions! Wow. Thanks for this, very compelling. I love reading your blogs. They really make you think usually! Thank you so much for your kind comments! I was definitely inspired by the latest documentary by Lovett Productions. I’ll let you know the details of our showing in October. I have a meeting scheduled in early August to discuss all of the logistics. Thanks again, for your comments. I appreciate the time that you take to read my posts and value your friendship. Another wonderful ministry for us all. Is there a way to put it on Facebook, or Twitter? I was particularly move by the young soldier. He never thought it would happen, and we never think of that particular sacrifice. Blessings in your amazing inspiring work. Thank you for taking the time to read my post and for your very kind comments! I’m only reporting on the wonderful work that Joseph Lovett and everyone at Lovett Productions has done. Sometime in early August I will be meeting with some people from the Georgia Lions Lighthouse, since there is an interest from them as well as some Lions Club chapters in the area. I’ve tweeted and placed a link to the Going Blind official site on the Dacula Lions Club accounts, as well as my own. Also the Lawrenceville Lions Club has done the same. If you would like to post the link on any of your accounts, I would be very happy to help you do it. Thanks again for taking the time to read the post and providing your generous comments! I also meant to mention that Lovett Productions has made it very easy to “Like” the site on your Facebook page. The link is contained at the bottom of the page. WE are up on Facebook and Twitter and would appreciate it if you could follow us and help get the word out about the film. What an inspiration. I work with dogs professionally for the last 12 years. I can see how they would be very helpful to the blind. This is a beautiful organization. I would love to link-in with you and learn more. Thank you for reading my post and leaving your kind comments! I admire the fact that you have been working with dogs for such a long time. My mother has been working with the Happy Tails program (http://www.happytailspets.org/) for the past several years and it has been very rewarding for both her and her dogs. They have had the honor of visiting nursing homes, schools and libraries and have enjoyed every minute of it! I sent you a copy of the Going Blind Outreach Toolkit this afternoon and would love to follow up with you next week. Thank you, once again, for taking the time to read this post. Jeff, you have brought so many good stories to so many people. I look forward to seeing this movie and am so blessed to be able to say that I am looking forward to SEEING the documentary. Thank you for taking the time to read this post, as well as for leaving your kind comment. I’ll keep you updated! Thank you for taking the time to read the post and provide your kind remarks. I look forward to reading your upcoming blog posts! I’m excited to say that many people in north Georgia will be exposed to Going Blind! Hi Jeff, I’m a British Lion residing near Paris, France. I very much liked your idea and have tried to get the video via Amazon, to show to members of my club and LC district, but the Amazon system has detected the fact that I do not live in the US and the request can therefore not be honored. Is there any way you could send a copy of the video to me (against full payment, of course)? Let me know if it’s possible and we can exchange addresses. Many thanks. Ian Read (LC Etampes, district Ile de France Est, Multiple Distrit 103 France). Thank you for taking the time to read this post. I was not aware of the issue with Amazon, but will let Oliver Mosier know so that he can make contact with you. We’re looking forward to having a showing to all of the Lions Club presidents in the county where I live, next week and then rolling it out across the district. You may send me an email if you would like (jefflwolfe@jefflwolfe.com), or reach directly out to Oliver (oliver@lovettproductions.com). I wish your club the very best of luck in all that you do. Thanks again for taking the time to read this post.